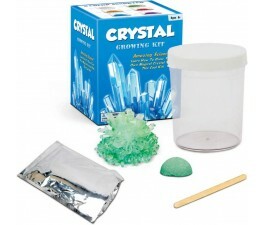 Older children will love using these science kits to create things they can use. Harness the power of the sun with solar-powered vehicle kits. Put chemistry to good use with cosmetic kits that let your create lip balm, perfume, bath bombs, soap, and more. Study physics and chemistry with erupting volcanoes and super-bouncy balls. Create your bubble solutions. You can even learn about fingerprints. Learning has never been so much fun! Some kits are available online, and some are only available in Mr Toys stores.